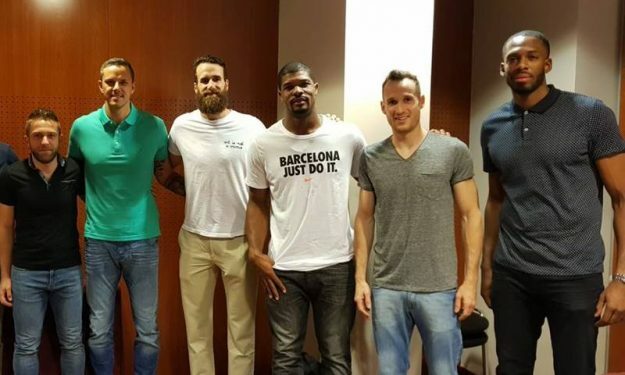 The EuroLeague players association met with the players of four EuroLeague teams. Managing Director Bostjan Nachbar and Secretary General Anze Blazic visited the Zadar basketball tournament where they met with players of AX Armani Exchange Olimpia Milano, CSKA Moscow, Fenerbahce Istanbul and Maccabi Tel Aviv in very productive meetings. Players confirmed the need of EuroLeague Players Association and its meaning for them and development of European basketball in general. They raised several issues that need to be discussed with EuroLeague and its shareholders which could help to make an even better product for all parts involved in the league, especially the fans. All the issues could also be the subject of negotiation in a Collective Bargaining Agreement, the biggest goal of ELPA in the near future.